For us we are not just building homes, we are creating relationships from the ground up. JHM is here to provide our customers with service of the highest quality and incredible attention to detail. When Jesse Hostetler started a construction business in 2004, his goal was to provide the best residential and commercial installation of slab, block and tie beam. As owner of JHM Construction, he has expanded his services over the years to include new construction, remodeling and concrete repair for large custom homes, commercial projects and complicated renovation jobs. The company’s highly competent and experienced field crew includes a lead field supervisor with more than 27 years in the construction industry. 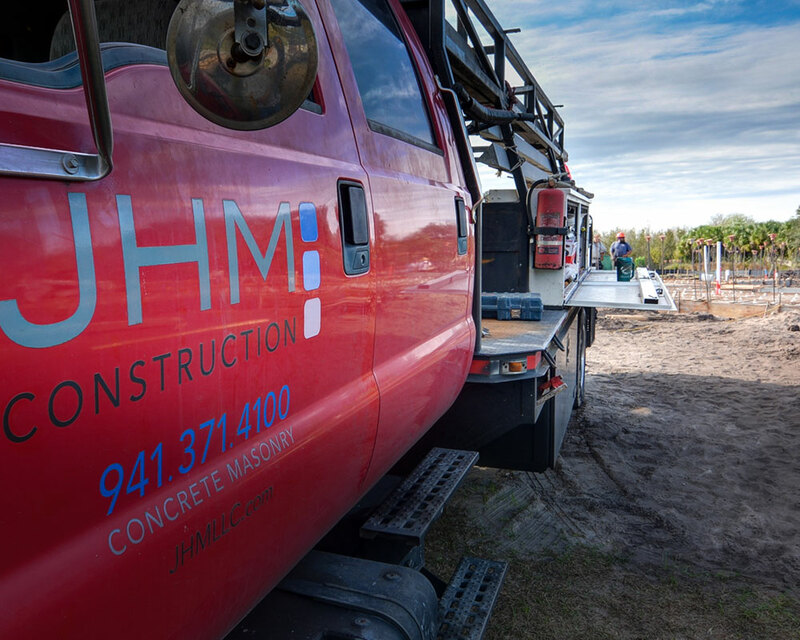 JHM Construction is licensed and insured to do business throughout Florida, with recently completed projects in Miami, Tallahassee and Frostproof. The company also was selected by PepsiCo Global to resurface the concrete floors of Tropicana’s Bradenton facility. More than 95 percent of the company’s work is based on referrals or repeat clients. We are a well-resourced company with the equipment and skilled manpower needed on the job and in the office to complete your project on time and within budget. We employ a group of highly trained crew members that are passionate about being accurate and professional which allows us to complete every project with the precision and effectiveness it deserves. At JHM Construction we strive to keep up-to-date with the latest industry technologies, trends and materials while maintaining a work ethic based upon old-fashioned honesty, integrity and workmanship. Our company is dedicated to maintaining a safe work environments not only for our crew members but also for other trade professionals and the homeowner. JHM Construction follows all industry standards, regulations and codes, ensuring that your project will be safe and reliable during the working phase and long after. Everyone at JHM Construction is proud of and stands behind what they do.